Happy Days Houseboats is less than two hours northeast of Toronto located on the Trent Severn Waterway in the Kawarthas. The Trent Severn Waterway is a national historic site managed by Parks Canada and stretches 386 kilometres through lakes and rivers linked by more than 40 locks in south-central Ontario. The Kawarthas is “The Houseboat Capital of Ontario” and is a boater’s paradise with scenic waters and easy navigation. Along the way you will enjoy the many lakes and rivers and have the opportunity to stop at marinas and take in shopping, dining and attractions. Happy Days Houseboats is a family run business that has been providing an excellent vacation alternative for 40 years. 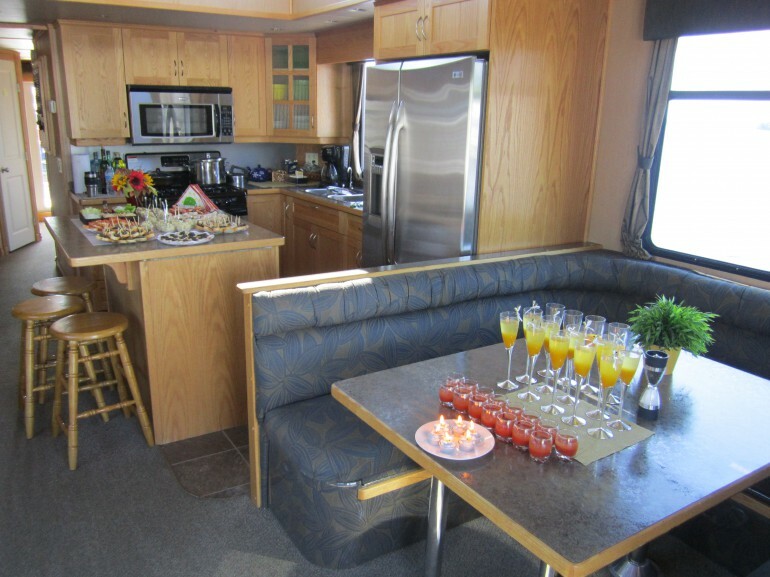 Known for their outstanding service they are dedicated in ensuring you will have the ultimate houseboat vacation experience. From the very moment you arrive you will be met by the friendliest and attentive Happy Days Houseboats team to get you started on your houseboat adventure. Before setting sail you will be taken through an excellent training session that allows you to feel comfortable with operating the boat and familiar with the area. The staff are more than pleased to answer any questions to be sure you are confident and relaxed. If you have any questions or concerns once you have started your vacation there is always support available with a quick phone call. Happy Days Houseboats is in a league of their own and have earned our seal of recommendation. Don't delay and book early! Previous experience is not required. 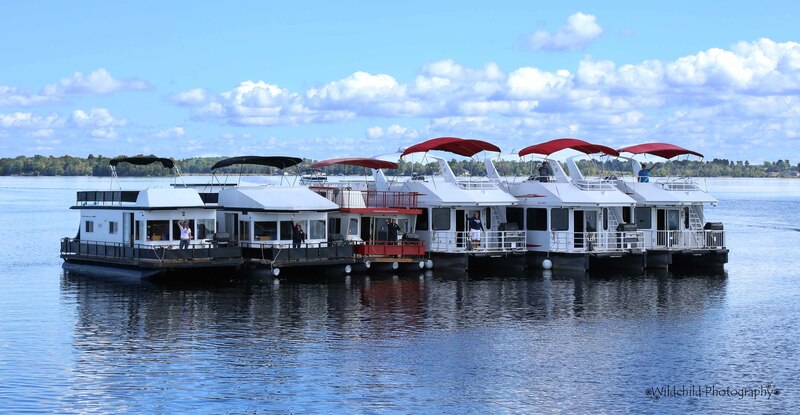 You will be provided instruction on operating the houseboat and safety requirements. Prior to departure you will be provided a safety checklist for review. Be sure to ask any questions if you are not sure. Once completed you will be issued a temporary license that is good for your trip. You will need to keep this document readily available if request by officials. You must be 25 years of age or older and hold a valid driver’s license to drive the houseboat. All house boats are equipped with an inverter system. There is a 110V and 12V outlet on all house boats. The inverter system has limited electrical capacity but will power breathing machines, laptops, a fan, cell phones and low-wattage hair dryers. No, however there are some exceptions. $25/day-$100/week. Dogs are not permitted on the Luxury model. Contact Happy Days Houseboats for more details. There are a number of additional costs that you should budget for during your vacation and will depend on the duration of your trip and the distance traveled. Each operator has different policies and should be discussed directly with them. 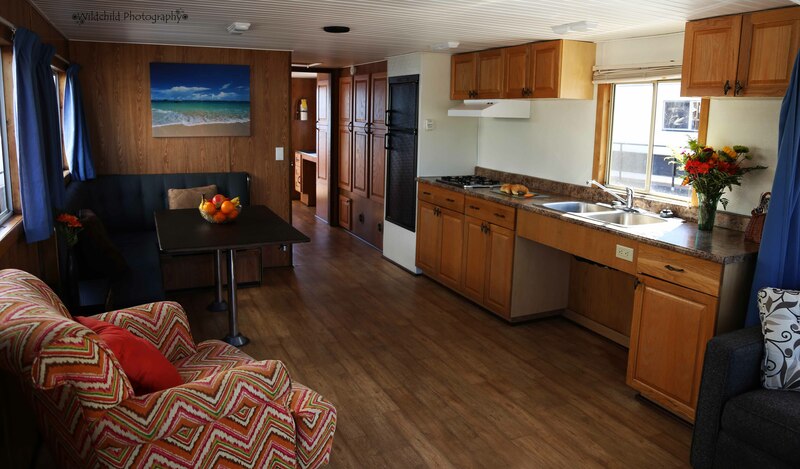 At Happy Days Houseboats you will be responsible for fuel and insurance.